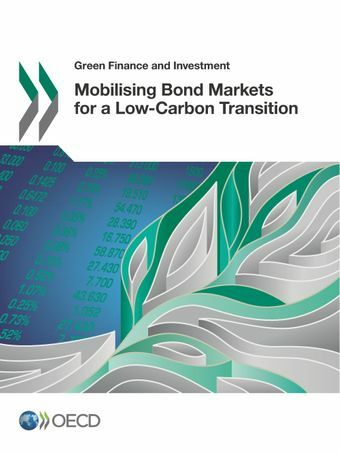 This report describes the development of the green bond market as an innovative instrument for green finance, and provides a review of policy actions and options to promote further market development and growth. Since 2007-08, so-called “green bonds” have emerged and the market has risen from USD 3 billion in 2011 to USD 95 billion in issuance in 2016. For policy makers, the report proposes a framework for understanding potential directions of bond market evolution, increased convergence of rules and definitions, and quantitative analysis of the potential contribution that bond markets can make to a low-carbon transition. Watch the video - Robert Youngman of the OECD Environment Directorate discussed policies, instruments and institutions to address challenges in mobilising green finance and investment on 28 April 2017. If we are serious about limiting the global temperature rise to below 2°C, significant investment in low-carbon infrastructure is needed. To accelerate capital flows, low-carbon investments must offer an attractive risk-return profile relative to competing options. What policy levers can governments and public finance institutions use to improve the risk-return profile of low-carbon investments and create pipelines of bankable projects?